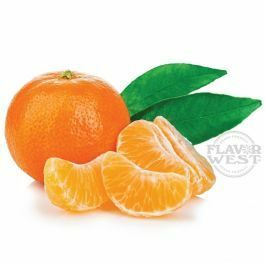 Natural tangerine flavor is a long lasting perfect citrus flavor. A drop of this multi-purpose flavoring delivers a great flavor concentrate, sweet and tart taste that is perfect for drinks, desserts, gelato bases, sorbets and more. No artificial sweeteners. Please Note: Flavor is highly concentrated (Shake well before use). Type: Tangerine All Natural Water Soluble Flavoring. Ingredients: Natural Flavoring and Propylene Glycol. USP Kosher Grade Flavoring. Usage Rate: 15-20% for E-use. Flavor Suitability: Suitable for beverages, drinks, desserts, gelato bases, sorbets , baked treats, candy making and more. Specific Gravity: 1.01 No Refunds on Flavoring.